From Hasbro comes the following promotion: Spend $20 or more on Hasbro products and they’ll send you a free gift. Transformers is available as an option (looks like Power Core Combiners, Activators, Speed Stars, and Star Wars Crossovers are available). Here is the promotion’s page on Hasbro’s website, which links to a printable form with the terms and conditions. Thanks to board member BWProwl for the information. Not a lot of people know this, but in the final months of Dreamwave (not that we were aware they were the final months at the time), circa November 2004, I was asked to prepare a one-issue fill in for Dreamwave’s G1 book (issue #14 to be precise). Regular G1 writers James McDonough and Adam Patyk had stepped away from the book. (Being closer to the heart of things, Dreamwave-wise, they clearly saw the writing on the wall, so to speak, and stopped pouring work into the rapidly expanding black hole that was Dreamwave.) In the splendid isolation of this sceptered isle, I just carried on regardless. Follow the link to read the rest of the comments and the summary itself! Apple’s trailers website has posted the first teaser trailer for Transformers: Dark of the Moon. You can check it out for yourself by following this link. 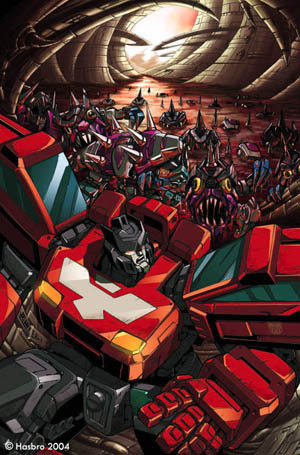 Courtesy of Simon Furman’s blog, here are summaries in two parts of the unpublished Transformers Energon #31, and Energon #32. During Auto Assembly 2010, Simon Furman made available copies of the script for The Age of Wrath issue 4. 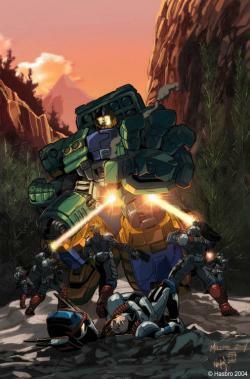 This six-issue mini-series was cut short by Dreamwave’s bankruptcy, with only the first three issues published. Courtesy of poster Sol Fury of TFW2005, here is a synopsis of the unreleased fourth issue of the six issue mini-series. Our readers came up with these 2 questions to send in a month ago, and today Hasbro has supplied us the answers. To what does Hasbro attribute the popularity of G1? And why vehicle-only drones in the PCC line? Click in to read ‘em.